Review by AllTheBestFights.com: 2017-10-28, some good exchanges between Jim Miller and Francisco Trinaldo but it is not enough to get three stars: it gets two. The black belt in Bjj Jim Miller entered this fight with a professional record of 28-10-0 (64% finishing rate) and he is ranked as the No.20 lightweight in the world but he comes off two consecutive losses, against Dustin Poirier (=Miller vs Poirier) and Anthony Pettis (=Pettis vs Miller). His opponent, Francisco Trinaldo, has a mma record of 21-5-0 (57% finishing rate) and he entered as the No.21 in the same weight class. Francisco ‘Massaranduba’ defeated Ross Pearson (=Trinaldo vs Pearson), Yancy Medeiros and Paul Felder in 2016 (=Trinaldo vs Felder) but then he has lost to Kevin Lee in 2017 (=Trinaldo vs Lee). 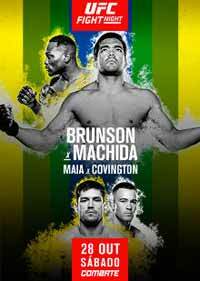 Trinaldo vs Miller is on the undercard of Derek Brunson vs Lyoto Machida – UFC Fight Night 119. Watch the video and rate this fight! 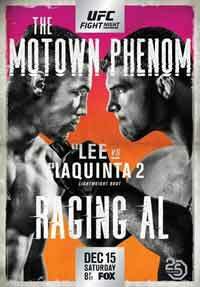 Review by AllTheBestFights.com: 2016-08-27, pretty good fight between Joe Lauzon and Jim Miller: it gets three stars (UFC Fight of the Night). Joe Lauzon entered this fight with a professional mma record of 26-11-0 (96% finishing rate) and he is ranked as the No.19 lightweight in the world. He lost to Evan Dunham last year (=Lauzon vs Dunham) but he came back to win in 2016 beating Diego Sanchez. His opponent, the black belt in tae-kwon-do and Bjj Jim Miller, has an official record of 26-8-0 (69% finishing rate) and he entered as the No.33 in the same weight class. He suffered two consecutive defeats between 2015 and 2016, against Michael Chiesa (=Miller vs Chiesa) and Diego Sanchez, but he beat Takanori Gomi in his last fight. 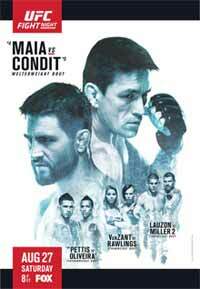 In their first bout Miller defeated Lauzon via unanimous decision (December 29, 2012 Miller vs Lauzon I); this second fight is on the undercard of Demian Maia vs Carlos Condit – UFC on Fox 21. Watch the video and rate this fight! 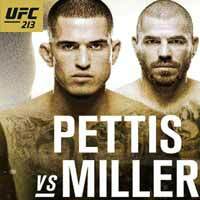 Review: 2014-04-26, Jim Miller vs Yancy Medeiros gets three stars thanks to a good finish. The balck belt in bjj Jim Miller entered this fight with a record of 23-4-0 (70% finishing rate) and he is ranked as the No.14 lightweight in the world, he suffered his last defeat in 2012 when he faced Nate Diaz (Ufc Lw title eliminator Diaz vs Miller), since then he has collected two wins and one no-contest. His opponent, Yancy Medeiros, has a record of 9-1-0 (78% finishing rate), he made his Ufc debut in 2013 but he lost to Rustam Khabilov, then he defeated Yves Edwards but later he tested positive for marijuana and it has been changed to a no-contest. 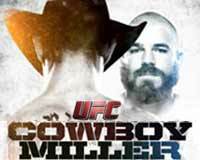 Miller vs Medeiros is on the undercard of Jon Jones vs Glover Teixeira – UFC 172. Watch the video and rate this fight! 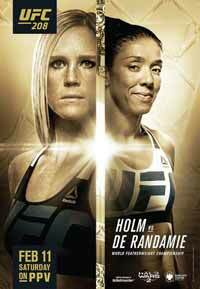 Review: 2013-12-28, fight not so exciting between Jim Miller and Fabricio Camoes: it gets two stars. Jim Miller ranked as the No.14 lightweight in the world, entered the fight with a record of 22-4-0 (69% finishing rate) while Fabricio Camoes had a record of 14-7-1 (79% finishing rate – Camoes is not ranked as he hasn’t fought since July 7, 2012 when he was defeated by Melvin Guillard). 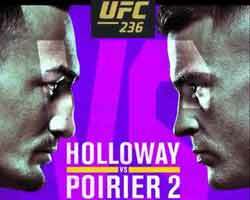 Miller vs Camoes is on the undercard of Chris Weidman vs Anderson Silva 2 – UFC 168. Watch the video!